You would be hard-pressed to find a group of people that takes more pride in the work they do than the team at Butler Collision Center. 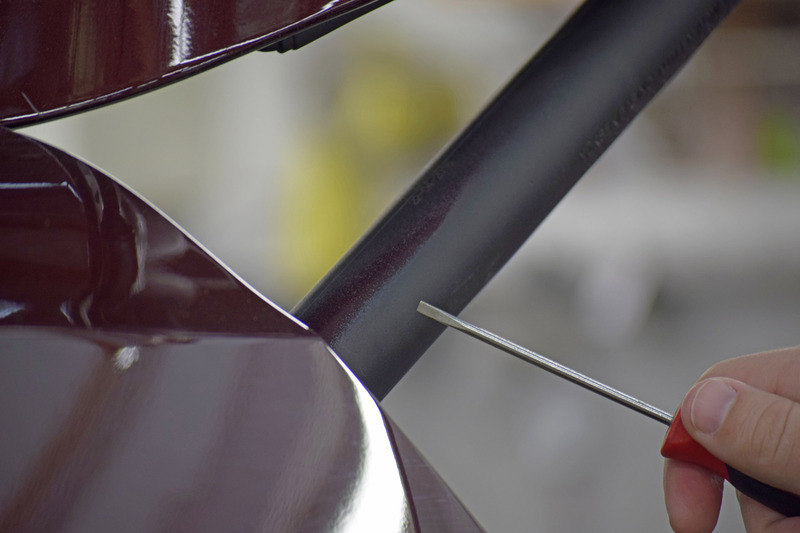 Frank, Larry, Bob, Thad, Scott, Rob, and Curtis have more than 200 years’ combined experience between them, and they make sure it shows in everything they do; from scratched fenders to high-speed collisions, our team insists on providing our customer with the highest-quality repairs possible. 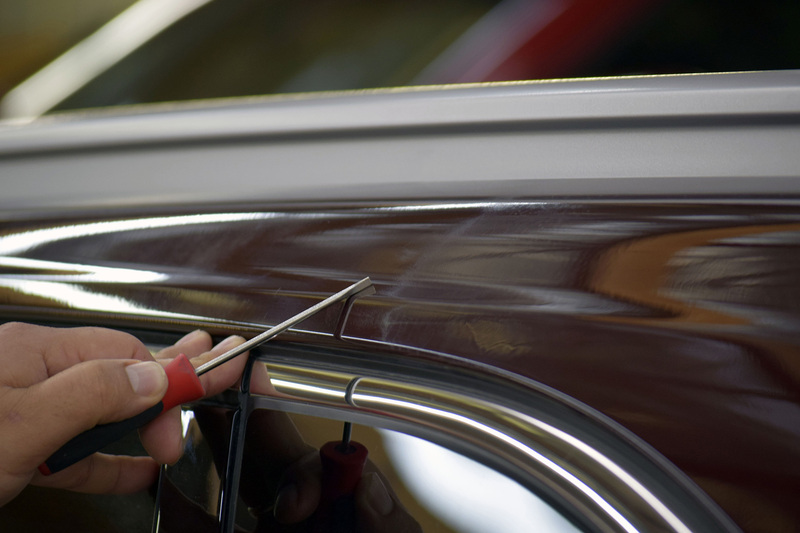 The vehicles that leave our Collision Center are repaired to look and function the way they did when they were brand new. But what does it look like when a collision repair facility doesn’t have the knowledge and expertise to perform a repair correctly? Frank shared with us a recent example: a brand-new Kia Sorento that was rear-ended, brought to a shop that isn’t Kia factory certified, and, $9,500 in repairs later, had to be brought to us because of the poor quality of the repair. When repainting the rear liftgate, the shop failed to properly mask parts of the vehicle that weren’t supposed to be repainted. This very noticeable blemish is the result of paint overspray. Following the collision, the shop attempted to blend clearcoat, but didn’t do it correctly. 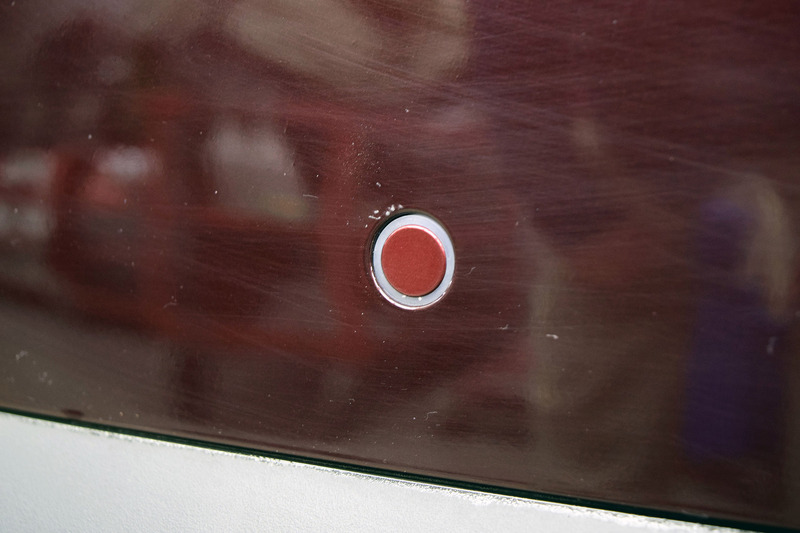 The visible blemish shown here also feels different to the touch than any other part of the vehicle. These sensors are supposed to be the same color as the bumper, but because the shop didn’t color match them, they look much pinker than the rest of the vehicle. 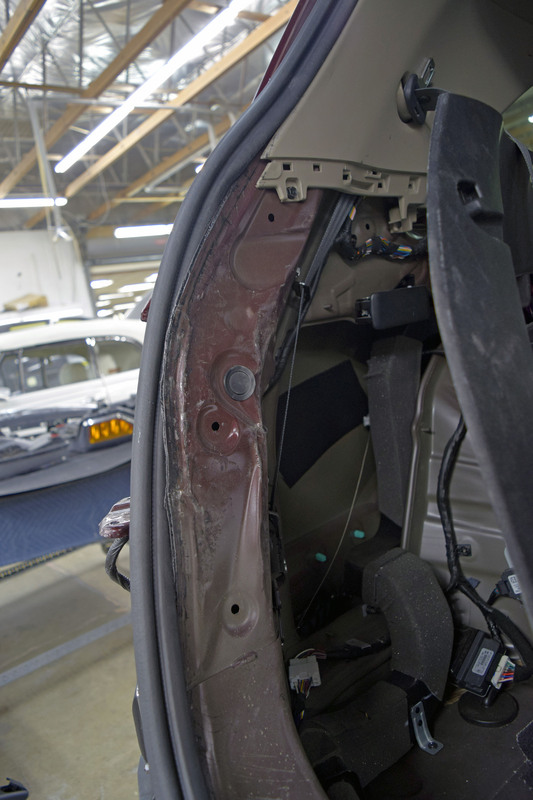 The rear liftgate does not sit flush with the rear body panel – if the repair had been performed properly, the measurement tool in the photo and its reflection would be touching. 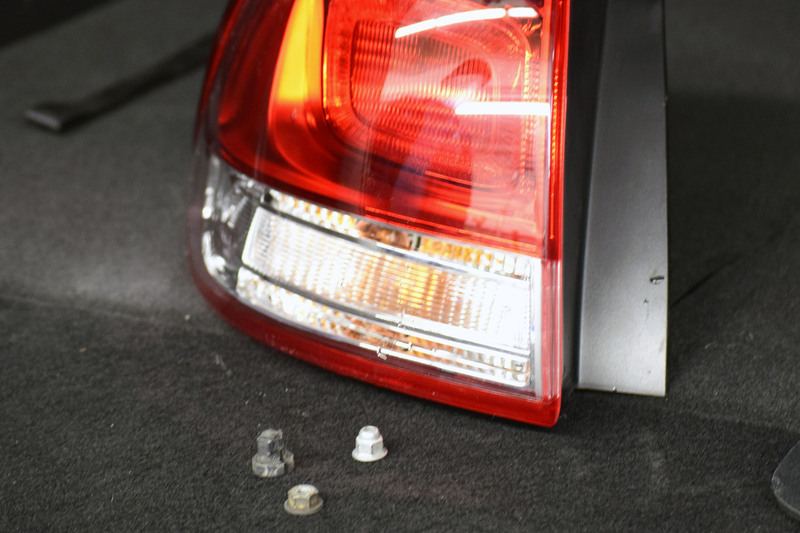 The gap between the rear body lamp and the liftgate lamp should be the same size on both sides, yet as a result of the collision and subsequent faulty repair job, the gap on the right size is twice as large as the gap on the left side. The top of this liftgate strut is covered with more overspray as a result of careless painting. The liftgate should have been painted while it was removed from the body of the vehicle, but was not. These three mismatched pieces were all used to hold in the pictured taillight. This is a bizarre lack of attention to detail in the repair of a brand-new vehicle. This rubber stopper is in place between the liftgate and rear body to keep the liftgate from rattling, but because the rear body was not repaired properly, the stopper does not sit flush, rendering it ineffective. Note how the stopper on the right side sits flush. 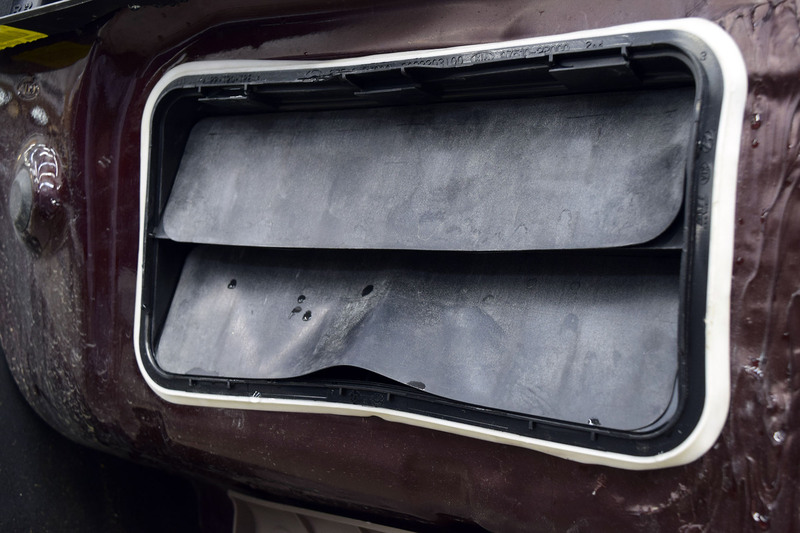 This pressure vent, ordinarily hidden from view by the bumper, is still visibly buckled from the accident. Because the opening it goes in is buckled, the vent does not fit properly. The opening panel on the left side of the rear body is still damaged by the accident, and should have replaced. The left taillight pocket is buckled from the accident and needs to be replaced. Also note that the grommets, which were silver from the factory, were completely painted over on the side that needed to be repaired. 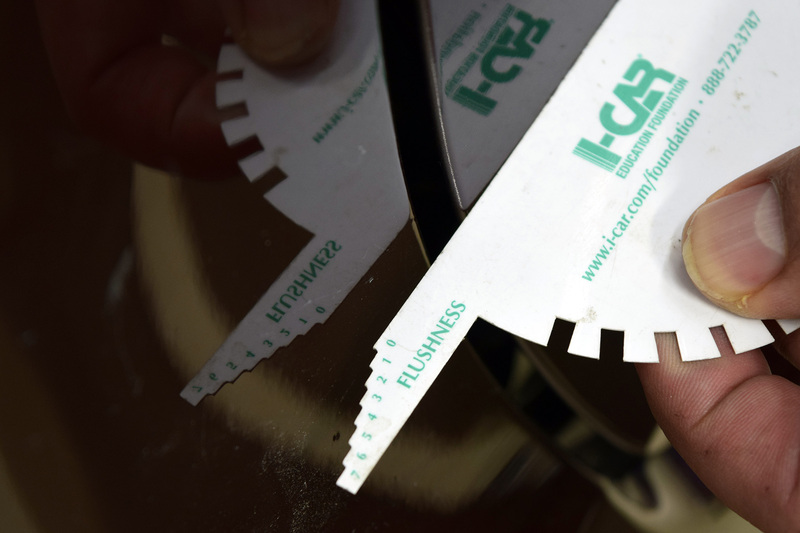 Simply put, this type of repair has heaped stress onto an already-stressful situation. This is why our slogan, “If You’re in a Collision, Make the Butler Decision,” is important: all collision repair centers are not created equal. 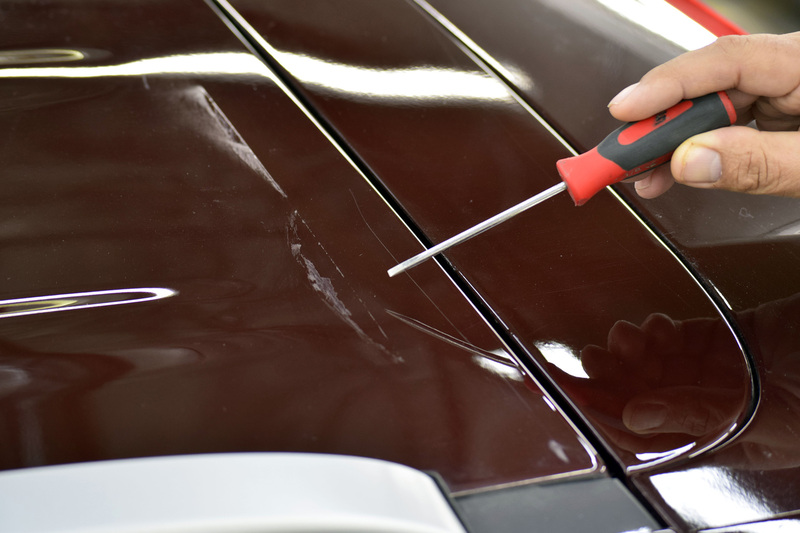 Our team has the experience, expertise, and work ethic to bring damaged vehicles back to showroom quality, and you deserve nothing less than the best in your time of need.